President Klaus Iohannis holds talks in Bucharest with his Slovenian counterpart, Borut Pahor. EUROPEAN PARLIAMENT - The priorities of the Romanian Presidency of the Council of the EU and the assessment of the Austrian presidency are on the agenda of the first plenary session of the European Parliament, held between January 14 - 17 in Strasbourg. Minister delegate for European Affairs, George Ciamba, is today holding talks with the vice president of the European Parliament, Sylvie Guillaume and will have a meeting with Cecilia Wikstrom, chair of the Conference of Committee Chairs. On Tuesday, the European MPs will discuss with the Romanian PM Viorica Dancila the priorities of the Romanian presidency, focusing on cohesion and common values, security and strengthening Europe as a global actor. Also on Tuesday, Ms. Dancila and the European Parliament President Antonio Tajani will hold a joint press conference. In next week's session, the European Parliament will debate the state of play on Brexit after the January 15th vote in the House of Commons on the accord agreed upon by PM Theresa May and the EU leaders. PRESIDENCY – Romanian President Klaus Iohannis is receiving on Tuesday in Bucharest his Slovenian counterpart, Borut Pahor, who pays a two-day official visit to Romania starting today. The visit takes place in the context of the celebration, last year, of 25 years of diplomatic ties between Romania and Slovenia and of Romania’s taking over the presidency of the EU Council. In terms of regional cooperation, special attention will be paid to perspectives for developing the Three Seas Initiatives, with Slovenia due to organise the summit in 2019. BREXIT – Debates continue in the British Parliament today on the Brexit accord negotiated by the country’s Government with the European Union. British PM Theresa May has warned that if her Brexit plan is not backed by the British MPs and Great Britain remains in the EU, that would be a "catastrophic and unforgivable break of trust” in the country’s democracy. Just two days before the vote in the House of Commons, the British Prime Minister called on the MPs to do what is best for the country and support her controversial 'divorce' plan.  According to Radio Romania correspondent in London, four Conservative MPs from the radical group supporting a Brexit without an accord have changed their mind and have said they will vote in favor of the accord negotiated by the government. On the other hand, another 100 conservative MPs, alongside the 10 representatives of Northern Ireland will join the opposition parties in order to prevent the accord’s adoption. STRIKE - Some 3000 employees of the Oltenia Energy Complex, in the south-west of Romania, are on strike. Among other things, they demand higher salaries, holiday vouchers and a drop in the retirement age. The protests started on Friday, after the administration allegedly proposed an expenditure and revenue budget that included no pay rise and no holiday vouchers for the 13,000 employees of the complex. Company representatives have announced they will start talks with the trade unions today.